Last week I spent some time down near Houston doing a working interview. 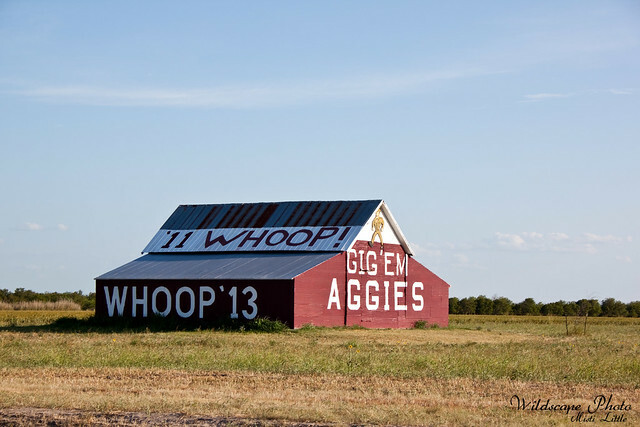 On my way back on Friday I kept an eye out for the Aggie barn located on Regan on Texas highway 6. It’s closer to Waco than College Station but on my relatively few trips down 6 to College Station I’ve always looked for it. I’d actually forgotten it was there until I passed it on my way down and then on the way back I kept expecting to see it sooner and didn’t realize it was further up than it was. I almost didn’t stop but decided to pull a uey and head back for the barn. Here it is in all its glory! WHOOP! Back in DFW Chris has returned from his swamp trip to Florida and has been doing a lot of yard work. I’ll have a brief garden plot update later this week, but I did get a photo of his carrot bounty. They didn’t do so hot this year. 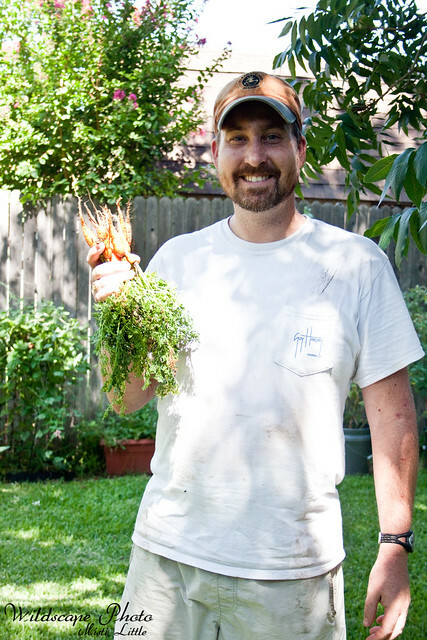 We’re trying to figure out Texas gardening, which is similar to Florida gardening—nothing does good in the summer. The problem with tomatoes is that on the fall and spring ends things are just messed up because of the frost dates, whereas in Florida the best time of year for tomatoes is starting them in September and eating them through late March and early April. Not really feasible in north Texas. We’ll have to work the tomato thing out in the future, figuring out when to start for Fall harvest and starting seedlings indoors in late winter. The carrots! MMM! The tomatoes holding on in the back yard, I think they’ll regenerate a bit when it cools off. 100*+ days for weeks on end are not kind to them. +Working on a how-to post for later this week regarding the blankets I made for a friend. I recently made one for my future nephew and have another to make for a friend. Well, really I’ve got three to make for pregnant friends. Seriously there’s a baby boom going on! +Jennifer Pharr Davis is set to break the supported thru-hike speed record on the AT. She should be done by this weekend. For a comparison, Steadee & Deal started in early June and have just now hit Massachusetts. It is certainly a different kind of hike! 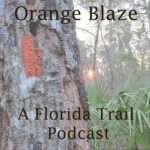 +Check out Chris’ panther photos from trip to Fakahatchee Strand. Panther #7—-there’s a reason his trail name is Panther! +Chris Heald has some amazing AT time lapse videos that make me want to try them out myself. Which reminds me—Chris don’t you have some ghost orchid ones to work on? +If we’re going with videos, this one by Tiger in a Jar is fantastic. I love artsy videos! +A view of Katahdin from this girl’s raft. +My brother is blogging again! +How industrial farming destroyed the tasty tomato via NPR. I guess that’s about it. Trying to stay cool in 100*+ days, doing a few runs and finding creative things to do. Dreaming of cooler weather for some weekend backpacking but until then we’re doing short day hikes early in the day.